But what of NATO? Is Turkey a reliable NATO partner? Here the picture is more mixed. Turkey of late, with the purchase of two batteries of the Russian S-400 air defense system, appears to have taken a big step away from the NATO alliance. The Erdogan regime's nationwide post-coup purge of civil and military personnel, and its threatening acts against freedom of speech, such as the mass arrest of journalists, are eviscerating the country's independent civil society institutions. In addition, Turkey's crackdown on the activities of non-governmental organizations in Turkey is another sign that Turkey is turning away from democratic values shared by NATO Alliance members. Erdogan recently announced he will seek United Nations support to annul President Trump's recognition of Jerusalem as Israel's capital. Additionally, there is the somewhat comical furor in Turkey over the adoption by Turkish entrepreneurs of the American "Black Friday" sales concept. Several Turkish businesses, which had attempted to increase sales by borrowing the U.S. "Black Friday" market lure, were attacked by devout Muslims who accused store owners of disrespecting Islam's day of prayer. The perceived insult to Islam's Friday Prayer obligation is just another example of a widening antipathy towards the U.S. While the misunderstanding by Turks over "Black Friday," will likely fade quickly, the diplomatic damage brought on by the early October arrest by Turkey's police of a Turkish employee at the U.S. Consulate in Istanbul allegedly for espionage is likely to be more long-lasting. The arrest of the U.S Consulate's employee precipitated the U.S. Ambassador's suspension on October 8, of all non-immigrant U.S. visas for Turkish citizens. The incident underscores how bilateral relations have plummeted since Turkey's President Recep Tayyip Erdogan first came to power. Shortly after Erdogan was elected in 2002, Turkey appeared to start turning away from its U.S. alliance when it refused to grant permission for U.S. troops to cross Turkish territory into northern Iraq. Turkey's parliament, the Grand National Assembly, voted down the request. Erdogan seems now to be focusing on regional affairs rather than on Turkey's traditional ties to the United States and Europe. Since Erdogan came to power, Turkey has increased its economic and diplomatic ties to Arab states. Turkey's Erdogan regime also is fashioning a more Islamic Turkey, a trend especially noticeable in the field of education. As early as 2012, Erdogan hinted at plans to Islamize Turkey's public schools when he declared to an audience of young members of his Justice and Development Party, "We want to raise pious generations." Since then Turkey's schools now include a curriculum which reflects Sunni Islam doctrine. After the failed July 15, 2016 coup against Erdogan, he exploited anti-Western sentiment among the Turks by permitting Turkish media to publish articles that accused U.S. General John Campbell, former Commander of NATO forces in Afghanistan, of complicity in the abortive attempted coup. Suleyman Soylu, the AKP's Deputy Chairman, also accused the CIA of being involved. Erdogan further demanded that the U.S. extradite from Pennsylvania Fethullah Gülen, leader of a Turkish opposition movement, and the person Erdogan claimed had instigated the attempted coup. Post-Cold War regional changes have likely altered Turkey's view of its U.S. alliance. Perhaps it now no longer seems indispensable to Turkish national security officers. Turkey's Syria policy, for instance, was initially aligned with other regional Sunni Islamic states against President Bashar al-Assad's regime. When Assad's Iranian allies helped to sustain the Assad government however, Turkey appeared to turn a blind eye to Sunni terrorists crossing Turkish territory into Syria. Perhaps the Turks hoped that these extremists would strengthen the anti-Assad military forces. Turkey's efforts to overthrow the Assad regime in Syria only took a radical turn when Turkish territory became a virtual pipeline for the flow of foreign fighters. Thousands of them infiltrated Turkey's borders; there, they were met by smugglers and Sunni extremist facilitators. The facilitators then moved the fighters to safe houses and gave the jihadists logistical support until the combatants reached their jihadi destination in the Raqqa region. The combatants included members of the al-Qaeda affiliated Jabhat al-Nusra Front and the Sunni Salafist Ahrar al-Sham. This influx of foreign jihadists seemed to place old allies Turkey and America in a state of confrontation, as some of these terrorists remained inside Turkey. The counterproductive cost of Turkey's intentional or careless lax border policy struck home with an attack which left 39 dead on Istanbul's Reina Night Club. In March 2017, Turkey began curbing the terrorist networks it had allowed into its territory. Only then did Turkey decide to cooperate with U.S. efforts to suppress ISIS. The Turks, however, recoiled at the Kurdish ethnicity of the U.S.-assisted anti-ISIS Syrian Democratic Force (SDF). Turkey is wary of any armed force of Kurds; it evidently fears that if Syria's Kurds are able to carve out an autonomous zone for themselves, it will inflame nationalism among Turkey's millions of Kurds. The Turks view ethnic-Kurd fighters in Syria as an extension of the Kurdish Worker Party (PKK) which has been fighting the Turkish government for decades. That fear could explain why Turkish troops stood by while Syrian Kurds fought a harsh battle against Islamic State troops in Kobane, a Kurdish town in Syria, in late 2014. The number of instances where Turkey and U.S. interests now clash, and the accumulated ill will that these disagreements are begetting, suggests that Turkey is no longer a dependable ally of the United States. But what of NATO? Is Turkey a reliable NATO partner? Here the picture is more mixed. Turkey of late, with the purchase of two batteries of the Russian S-400 air defense system, appears to have taken a big step away from the NATO alliance. The Erdogan regime's nationwide post-coup purge of civil and military personnel, and its threatening acts against freedom of speech, such as the mass arrest of journalists, are eviscerating the country's independent civil society institutions. In addition, Turkey's crackdown on the activities of non-governmental organizations (NGOs) in Turkey is another sign that Turkey is turning away from democratic values shared by NATO Alliance members. Nevertheless, Turkey's continued membership in NATO has its advantages for both parties. Turkey has the second largest standing army in NATO, after the United States. U.S. aircraft are permitted to use bases in Turkey to mount bombing runs on Mideast-based terrorists. Turkey's military complex at Incirlik houses an estimated 90 B61 nuclear gravity bombs. Should Turkey's incipient romance with Russia turn sour, as their historic hostility toward each other might suggest, then Turkey's large ground force, forward deployed nuclear devices, and sophisticated signals intelligence facilities would prove invaluable to NATO as well as to Turkey. Furthermore, should Iran continue its regional march to hegemony, Turkey would prove a worthy rival. Although Turkey under Erdogan may not be a fully committed member of NATO, Turkey in NATO -- at the moment anyhow -- is probably still better than a Turkey out of NATO. If anyone's still following this thread a week later.....this Turkish business of sucking up to the mullahs of Persia looks like yet another Erdogan policy disaster.....re: Turkey as an ally: "He who sups with the devil must use a very long spoon." Are we not remiss in not helping the various non-Islamist ,or at least, secular Turkish resistance groups? Ought we seek to hear more from Rev. Gulen on what is really transpiring in a Turkey which is no longer dependably part of the Western alliance? Just to be clear, you are asking if the original terrorist state, the people/tribe that invented genocide (and unleashed it against the Armenians, and Greeks and Assyrians) and, to their (dis)credit genocide denial, are still a US ally...you are assuming that the US and Turkey were actually ever true allies to begin with, which they were not - Turkey had an air base and the US needed one - so, you get to use our air base and in exchange you will say nothing about that so-called, alleged, quote-unquote, Armenian Genocide. Interesting points here. However I have to add that Fethullah Gulen is -not- a leader of Turkish opposition movement, he is an Islamic cult leader currently residing in USA and he's hated by nearly everyone on the political spectrum. Turkish Opposition mainly consists of secular Turks. I just started to read The Burning Tigris, about the Armenian Genocide as perpetrated by Turkey. I am stunned by the creation of a genocide by Turkey against the very first Christian State. Centuries of cruelty and deception appear to be waiting in chapter by chapter. The similarity of millenial history and current day events might simply be revealed to be a continuation of a war that started in the time of Muhammad. It may be that Turkey participated enthusiastically whenever it was empowered to do so. NATO membership or not, its possession of a nuclear arsenal is frightening. 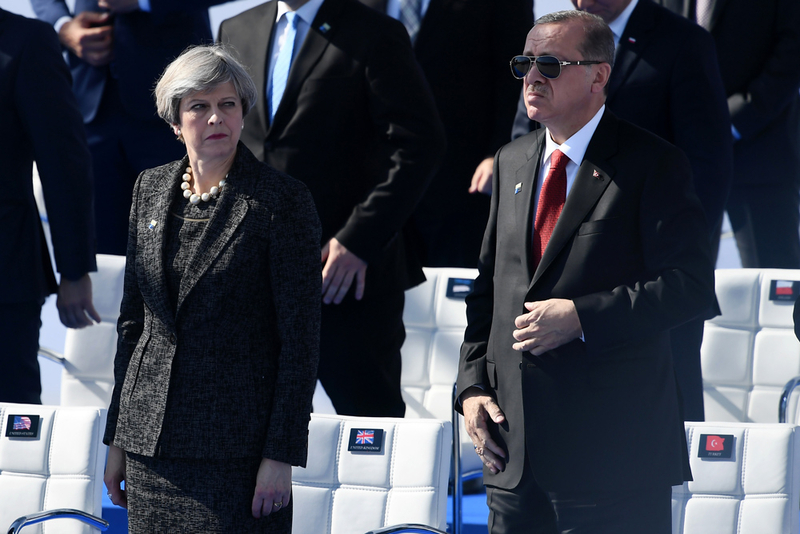 I agree with the comments of joe k and Albert R.
But looking at the picture of dictator Erdogan & poor Mrs May, I ask myself whether the UK is still a reliable NATO partner? Under successive governments, the military has been pared back to less than bare bones. Whilst they crow that they're spending 2% of the budget on defence as per NATO requirements, this is all a fudge: they've moved the military pension from the Civil Service to the military; they have paid over-the-odds for home-built equipment and have decommissioned Harriers, Nimrods and capital ships without current replacement. 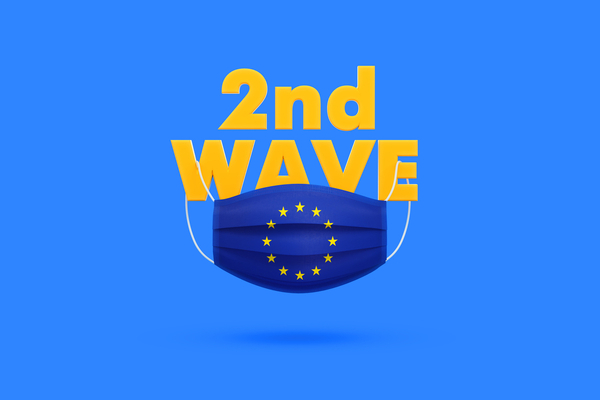 In short, by following the Europeans in devoting tax-payers money to the Health service, benefits, overseas aid and the like, they have left the country virtually defenceless whilst putting up a show of untoward competence. Erdogan is no one's ally. He's reversing Mustafa Kemal's attempt to bring Turkey into the modern world as a secular democracy, and following Iran's pattern of creating a Stalinist/Islamic police state to consolidate and protect his power. His long-term goals for Turkey are Islamist and expansionist -- a Sunni version of Iran. NATO should be gradually moving its assets out of Turkey to other locations -- Erdogan's Turkey cannot be trusted. 1) A frank and full, unreserved apology from Erdogan for Turkey's sadistic and barbarous Armenian Massacre of 1915 might lift his standing a little in the West, but only a little. His recent April 24th Remembrance Day phraseology was a small (tiny) step, but VERY watered down. From the liquid state, said fluid tended towards vapor. ("I offer my condolences to the grandchildren of the Ottoman Armenians who lost their lives in the harsh circumstances of World War I.") 2) Let's not forget the man who infamously showed his totalitarian, harsh, dictatorial core, with the statement: "There is now a menace which is called Twitter. The best examples of lies can be found there. To me, social media is the worst menace to society." A strange bedfellow. I say, let's leave the light on before we go to sleep. I've been concerned about the nukes at Incirlik AB for two years. I hope those have already been removed along with coding and decoding machines, and scrambling communications. We should have moved our resources to Tikrit and recognized the Kurds as a national entity. This would have placed a buffer between Iran and Turkey. The scars between Russia and Turkey run deep (300 years worth). Russia will take advantage of a US-Turkey split, but a Russian-Turkish military ally agreement is simply a farce to consider. Turkey as a country has never been a reliable friend of any nation except Turkey and have ended up on the wrong side in many conflicts due to bad foreign policy decisions. Erdogan is as dangerous as any despotic, Islamic leader and he is often irrational and says the most bizarre things. The so-called attempted coup even looked as if it was staged by Erdogan as an excuse to destroy his opposition and it is scary that there are nuclear weapons there that he could easily take. The US and NATO should pull out of there and take these to Cyprus. Trump may have the balls to pull out these resources but the other members leadership are too blind, gullible and cowardly to realise that such a move is probably very necessary as Erdogan becomes more despotic, more powerful and unstable. This is nuts! Turkey in time of need turns as enemy. During the Gulf war Turkey forbad American take off and landing at Incirlik air base. The US should abandon an airbase that can be shut by the supporter of Islamic terror Erdogan. Cyprus or Israel would be a much better place for a US airbase. Biggest military in NATO? So what? Turkey can at a drop of a hat switch this big Turkish army from friend to foe in time of war. It is rather stupid to keep such a dependably un dependable member in NATO. Why does the USA still maintain this NATO anyway? A major waste of money anyway. That Sultan dictator of Turkey has to be the world's 2nd most dangerous Islamist leader. Hardly an ally.